I’m a loyal supporter of the hospital where I work, and I think that we take excellent care of our patients. But when our administrators decided to put in place a checklist for operating room safety, they didn’t get the concept quite right. We have a multicolored, cluttered form in our operating rooms that is referred to—not affectionately—as the “rainbow form.” It was implemented a year or so ago in an attempt to prevent wrong-side or -site surgery, retained foreign objects in surgical wounds, and other “never” events that could draw the wrath of the Centers for Medicare & Medicaid Services (CMS), state health officials, and The Joint Commission. It has checklists for things that should be done in surgery at different stages: before the patient enters the OR, at the time-out before surgery begins, during the process for counting sponges and instruments, and at the final sign-out before the patient can leave the operating room. All this sounds perfectly reasonable. But has the “rainbow form” prevented errors? No, it hasn’t. For one thing, it’s just too long. It has more than 30 different items, and each is supposed to be carefully considered, verbally confirmed, and checked off. Practically speaking, I doubt this happens very often. Sometimes, the form gets signed before the patient ever goes into the operating room. Not long ago, everyone had signed off on the form, and a patient nonetheless was wheeled into the operating room without having signed consent for surgery. So where did the “rainbow form” take a wrong turn? The concept behind checklists is soundly based on lessons that have been learned in aviation and other industries where errors can lead to catastrophic results. Humans are fallible, and they need all the help they can get. The more complex the process, the more we can use checklists to help us not to forget important details. vital like suction equipment, a backup oxygen tank, or a functioning laryngoscope. sponge, instrument and needle counts. Consistent utilization of a checklist for these key elements of patient safety has been proven to save lives. But to modern American hospitals, this checklist may appear simplistic. In our case, someone—or some committee—clearly took the WHO checklist and decided to make it better. They added many more fields than could reasonably be verified verbally and completed in a timely fashion. Some of the fields refer to completion of paperwork—not a major safety goal. One field asks the pre-op nurse and the circulating nurse to verify that I’ve assessed the patient’s airway, which they know would be redundant (and insulting), so they don’t. The result was a form that is little more than a nuisance. Dr. Atul Gawande defines a bad checklist clearly in his book The Checklist Manifesto. Bad checklists “are too long; they are hard to use; they are impractical,” writes Dr. Gawande. “They are made by desk jockeys with no awareness of the situations in which they are to be deployed. They treat the people using the tools as dumb and try to spell out every single step.” Good checklists, in contrast, “provide reminders of only the most critical and important steps—the ones that even the highly skilled professionals using them could miss. “Good checklists are, above all, practical,” according to Dr. Gawande. “The checklist cannot be lengthy. A rule of thumb some use is to keep it to between five and nine items.” The list should focus on “the killer items—the steps that are most dangerous to skip and sometimes overlooked nonetheless.” Any checklist has to be tested in the real world, and changed until it works consistently. 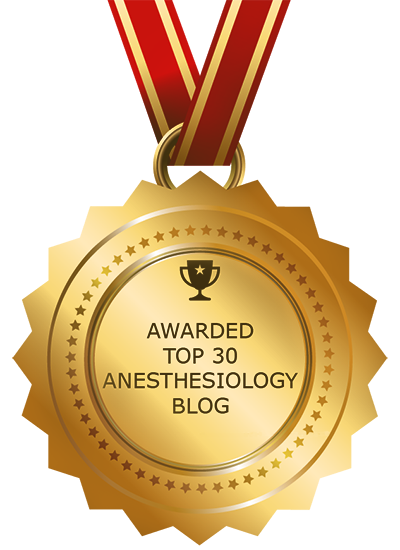 In his superb Leffingwell lecture at the CSA Annual Meeting in May 2011, Dr. Stephen Barker asked, “Should anesthesiologists use checklists? I think so. I think we could use more checklists for a lot more things than we do.” However, as he took pains to point out, “The checklist is not a protocol; it’s not a cookbook. It’s there to help you not forget stuff.” According to Dr. Barker, who is an airplane pilot and a professor of aerospace and mechanical engineering in addition to being an anesthesiologist, it’s just as important to know when to deviate from the checklist as when to follow it. “When an emergency occurs,” Dr. Barker said, “follow the checklist and do all the usual stuff, but if that doesn’t work, innovate, improvise, do something different. Don’t just fly the airplane into the ground.” In other words, the checklist is not there to prevent you from critical thinking. Its purpose is to help you cover the basics quickly and safely so that you can move on to further action. What would really be helpful in the OR is for checklists to be set up in a procedure-specific fashion. If there had been a good checklist in place, then it’s possible that the heart and lungs with the wrong blood type would not have been transplanted with fatal consequences into the 17-year-old girl at Duke University Medical Center in 2003. It’s important to make sure that you have the right implant on hand before you begin a total joint replacement or breast reconstruction. 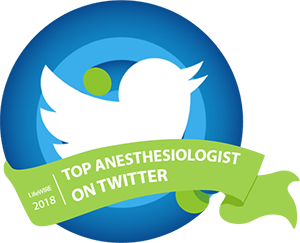 When multiple orthopedic cases or lung surgeries are being done in the same operating room on the same day, it’s critical to have a protocol in place to make sure whether you mean to operate on the right or left side. But you don’t need a check for laterality when your case is a Whipple, or a check for cross-matched blood when your task is to pin a finger fracture. In the case of the patient who came into our operating room without having signed her consent, the system actually worked fine. The nurses made sure that she knew what surgery she was to have. (Maybe, if the “rainbow form” hadn’t distracted them, someone might have noticed the consent wasn’t signed.) The surgeon marked the correct side of her chest where the lung mass would be biopsied. The anesthesiologist confirmed which side the lung mass was on and selected the proper double-lumen tube. The correct X rays were displayed in the operating room, and the appropriate antibiotic was given. The “timeout” confirmed all these steps. The patient received excellent clinical care not because of the “rainbow form,” but because these people knew their jobs and took responsibility for their patient. Checklists shouldn’t be used as a management tool to make sure that paperwork is done, and they mustn’t interfere with work flow. If that happens, then they’ll just be ignored. The purpose of a checklist is not to remind you to get a driver’s license or start the car—you’ll do that anyway—but to remind you to check that you have gasoline in the tank and air in the tires before you start your trip. appear in the case of hypoxia, hypercarbia, or other clinical crises, just as they do in airplane cockpits. 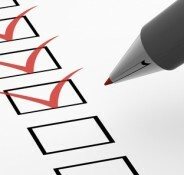 If we use checklists as they were intended, then we can save ourselves time and trouble. More important, we can save our patients from avoidable and potentially deadly harm.